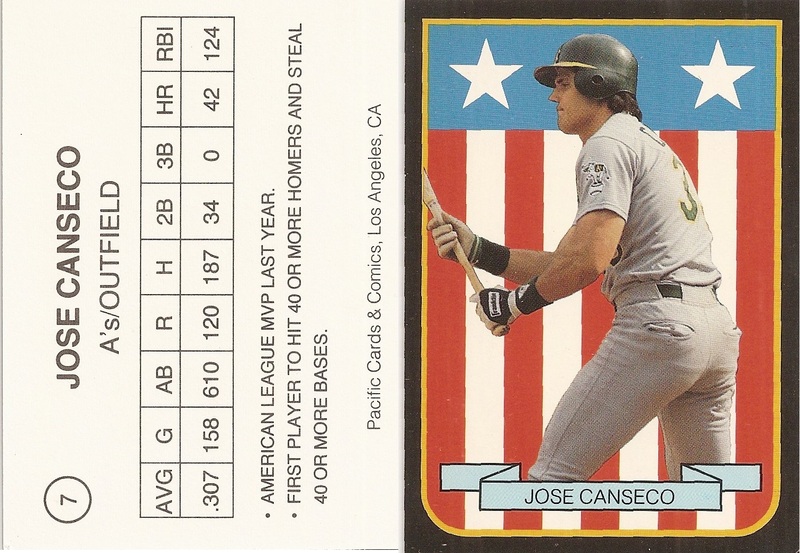 There are three separate sets that use the American Flag background with a black border. 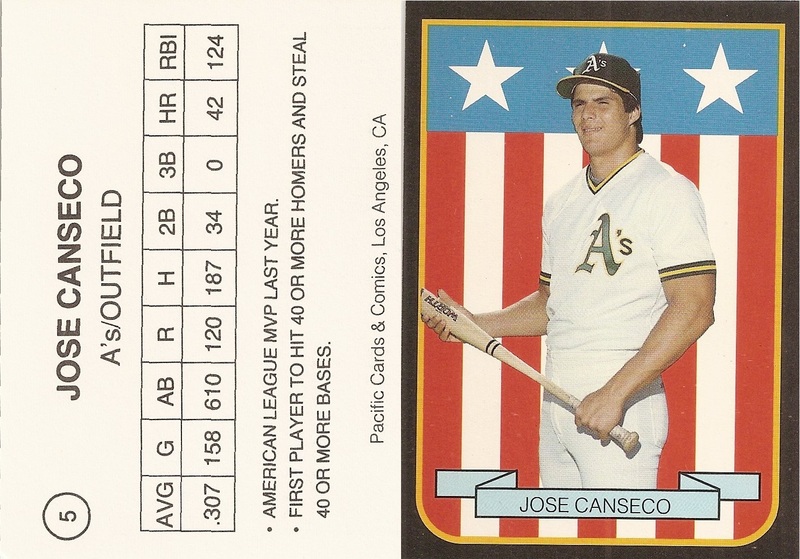 All versions are regular card size, measuring 2 1/2" x 3 1/2". 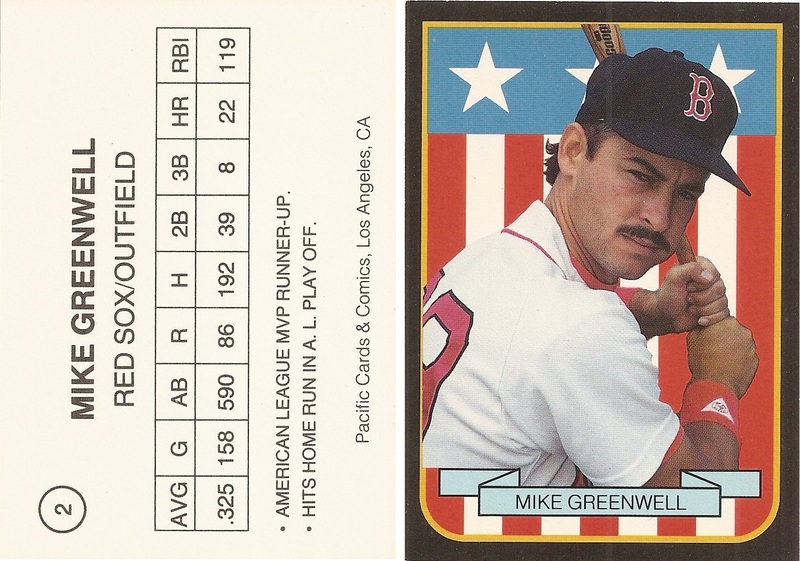 The back of this 10 card set includes the player name, team name, card number, 1988 stats and the manufacturer's name.